We had a fabulous trip to Cape San Blas, Florida this year and came home with lots of beautiful shells! I wanted to figure out a way to display them so we could be reminded of our great memories from the trip! I purchased a glass vase at the Dollar Tree. Using my Silhouette, I cut out "Cape San Blas 2015" (Mister Sirloin font) in blue vinyl. 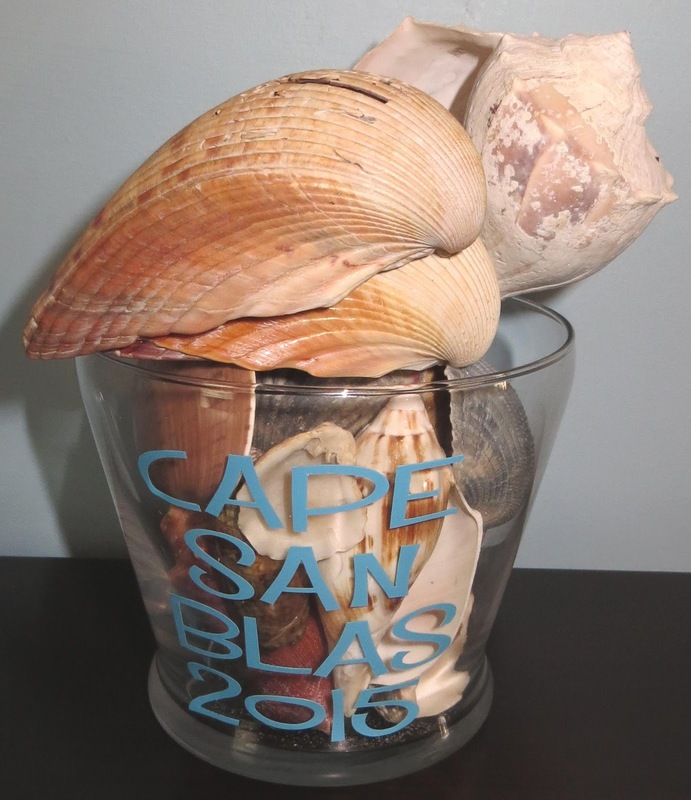 I placed the vinyl on the vase and filled it with our shells. Love it!